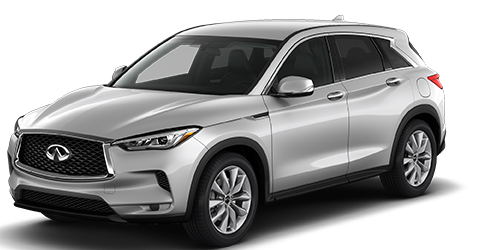 The 2019 INFINITI QX50 exemplifies the elegant style that so many competitors try and fail to achieve. There are so many luxury crossovers on the market today that it’s hard to find one that stands out, but the elegance of the INFINITI QX50 blended with its sporty and aggressive stance will turn heads everywhere you go. The standard power liftgate has an optional motion sensor that allows it to be opened by simply waving your foot underneath the bumper. This feature can really come in handy if you have an armful of groceries or sports gear. The standard LED headlights in the INFINITI QX50 are more energy-efficient than traditional headlights, and they also produce brighter light. The new INFINITI QX50 has standard 19-inch wheels that create this aggressive stance which has become a trademark of the vehicle. Take a look at the elegant INFINITI QX50 in Oklahoma City today. 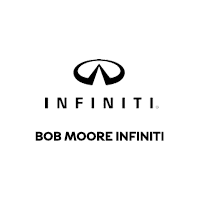 Come into the Bob Moore INFINITI dealership and take a test drive. Learn more about the impressive safety features in the INFINITI QX50. Test-drive the INFINITI QX50 at Bob Moore INFINITI today. 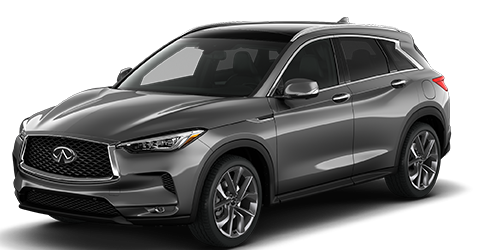 The 2019 INFINITI QX50 offers a seemingly infinite level of performance. Many of the luxury crossovers in the INFINITI QX50’s class don’t offer much in the way of power or handling. The INFINITI QX50 may just be the exception. The heart of the power in the INFINITI QX50 is the standard 2.0L turbocharged 4-cylinder that kicks out a muscular 268 horsepower. One of the most impressive and groundbreaking features of this engine is that it can change compression ratios on the fly, effectively switching modes from efficiency to performance. The standard drivetrain in the 2019 INFINITI QX50 is front-wheel drive, which provides a safe and stable driving experience. Drivers who prefer a more dynamic driving experience may want to opt for the available all-wheel-drive system, which also provides increased grip in inclement weather like that often seen in the Oklahoma City area. Take the 2019 INFINITI QX50 out for a spin at Bob Moore INFINITI today. You can schedule your test drive quickly and easily through our website. INFINITI vehicles are known for offering luxurious and stylish interiors, and the 2019 INFINITI QX50 is certainly no exception. In a class where many of the so-called “luxury vehicles” have don’t include premium materials as standard, the INFINITI QX50 stands out by including genuine materials. The standard genuine leather trim is soft to the touch and helps to create a prestigious ambience. The standard genuine wood trim completes this exclusive ambience. The standard slide-and-tilt rear seating makes it easy to maximize the cargo space in the INFINITI QX50 without having to fold down the seats. The standard under-floor storage in the INFINITI QX50 is a common-sense practical feature that competitors somehow didn’t think of. Experience the opulent luxury of the 2019 INFINITI QX50 at Bob Moore INFINITI today. Visit our Oklahoma City car dealership for your test drive. The 2019 INFINITI QX50 offers several advanced technology features that drivers in Oklahoma City and beyond will find highly desirable. The standard dual-screen infotainment system is both powerful and easy to use, which differentiates it from the confusing systems found in many competitors. The optional Bose® 16-speaker audio system provides an immersive listening experience that is perfect for any genre of music. The new INFINITI QX50 even offers an optional head-up display that features vehicle info like speed, current gear, revs and more. Drivers in Yukon, Edmond and elsewhere in Oklahoma City can try the advanced tech in the 2019 INFINITI QX50 at Bob Moore INFINITI today. Schedule your test drive now.